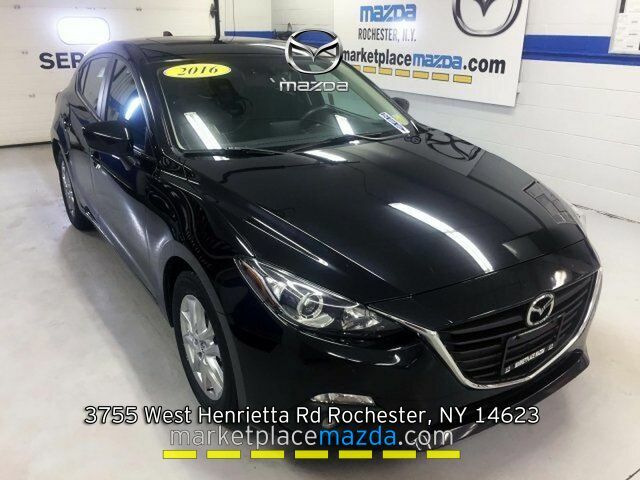 *One Owner, Clean CarFax, Moonroof, Backup Camera, Blind Spot Monitoring, Steering Wheel Audio & Phone Controls, Bose Premium Sound System, Traction Control, Cruise Control* Mint 5dr 2016 Mazda3 i Touring! Back Up safely with the included Reverse Camera! Change lanes with confidence with the Mazda3's Blind Spot Monitoring System. Steering Wheel Audio & Phone Controls allow you to change a station or answer a phone call without taking you hands off the wheel! The Alloy Wheels are in great shape & add to an already stunning exterior! Have Questions? My name is Taylor please contact me directly at (585) 797-3282 to confirm availability as multiple vehicles are sold daily.